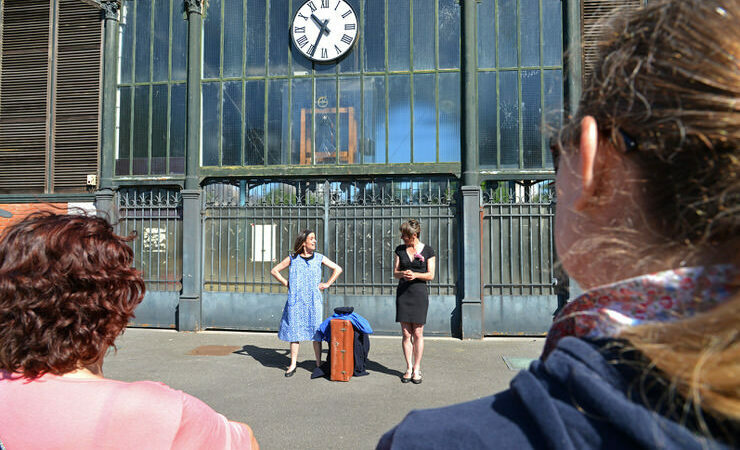 Our French partner, Région Pays de la Loire, has held a second storytelling event to capture the imagination of local residents and help them to re-discover their railway station. 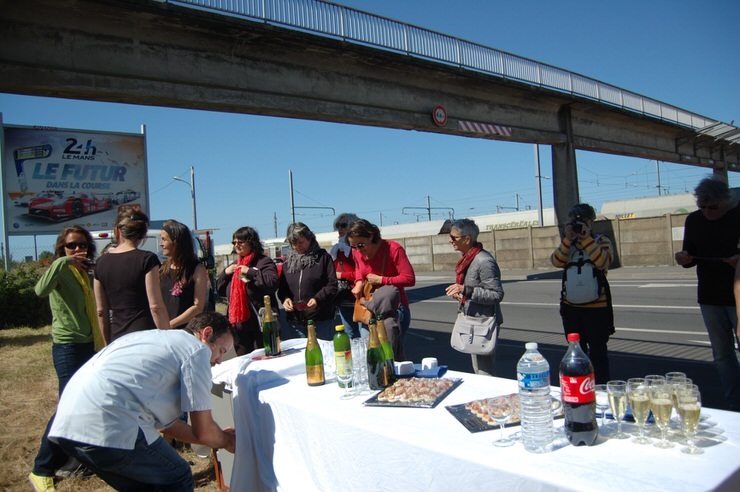 Following the success of April’s “The Imaginary Journey“, a community train trip from Saint-Nazaire’s Penhoët station to Nantes with a focus on fantastical train narratives from around the world, this week’s event focused on exploring the station via the distinctive alleys of Penhoët’s local neighbourhood. The area’s network of “Chemins de brouettes” (“Wheelbarrow alleys” – so called because they are just wide enough to accommodate one!) date from the 1950s. Each resident relinquished a small part of their land to allow the creation of pedestrian pathways linking key locations. 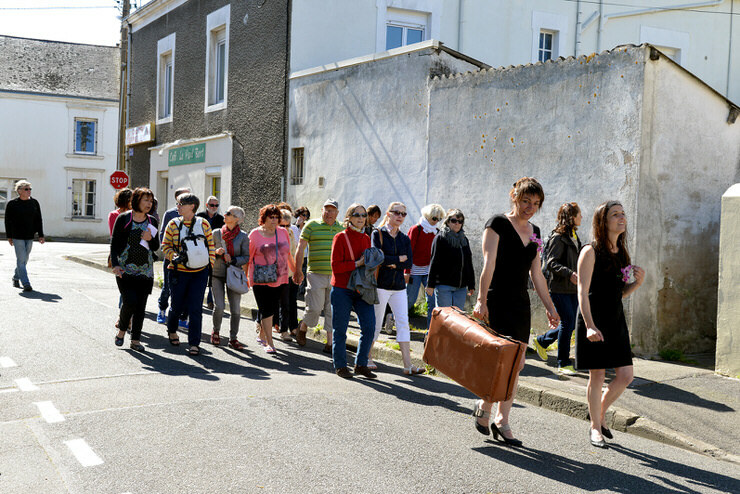 Local theatre troupe la Caravane Compagnie took a group of 25 local residents on a fun-filled walk through these passageways, regaling their audience with tales from the neighbourhood’s past. Their final destination was the station, which some of the participants were discovering for the first time thanks to the event. Drinks and nibbles were had under the passenger bridge above, giving a chance for further discussion about the upcoming improvement works at the station and more conversations about the area’s past and traditions. 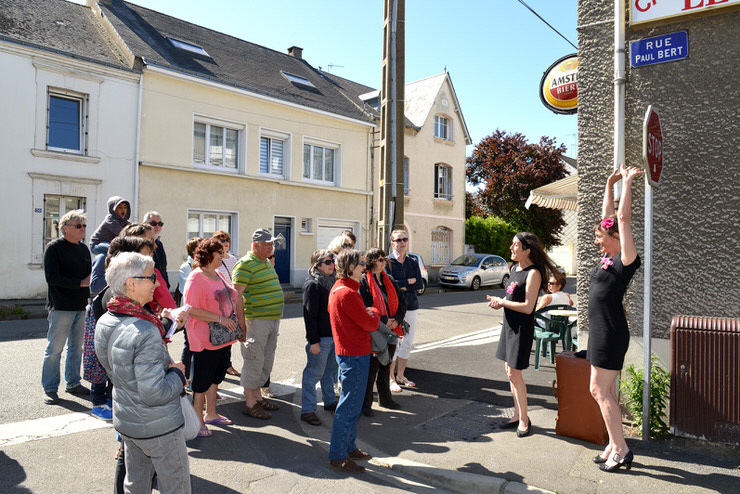 This intimate style of event, organised in partnership with Saint-Nazaire town council, allowed residents to plot their own routes to the station for the future, and helped put the station back on the map within the local neighbourhood.